Intervention in French and in English. 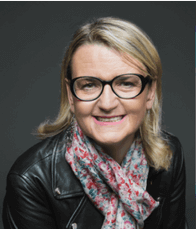 Consultant, coach and trainer, Cécile supports with passion Executive teams in their strategic challenges, their choices regarding positioning, the elaboration of the Value Proposition, the management of their teams and the piloting of their strategic customers. Through careful listening Cécile identifies the key stakes. Empathic and demanding, she combines creativity and methodology to elaborate creative solutions. She gets involved with energy in the companies she works with, inspiring daring and enthusiasm, she brings an operational support that engages action. She has a 360° operational experience (Purchasing, Category Management, Key Account Management, Marketing & Sales Direction). She is Adjunct Professor of Marketing and Sales at HEC Paris and she manages the Open-Enrollment Short Programs in Marketing and Commercial for Executives (approx. 20 sessions yearly). She is lecturing at SciencePo Paris, Polytechnique, Aalto (University of Finland) and at Baltic Institute of Management. She is responsible for the Academic Chair “Customers, Strategy and Creativity” at ESSEC Business School.